Brazilian virgin unprocessed CEOGirl(SM) business class human hair single bundles. Colors also available- make a selection from the drop down box. 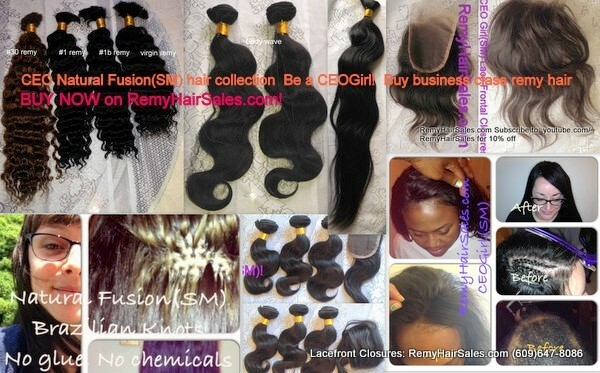 Exclusively available on RemyHairSales.com. Brazilian virgin unprocessed 100% real human hair sales 4 ounces per bundle 14"-30". Bulk and weft- all hair is dyeable. Remyhairsales.com- your A-list stylist recommended hair destination. Buy 2 bundles per set virgin Brazilian unprocessed CEOGirl(sm) hair sales- curly, body wave, and natural straight deals and steals. All 100% human hair extensions available in dyed/colors- see options and select from list. Problems ordering? Call/email for an invoice instead.